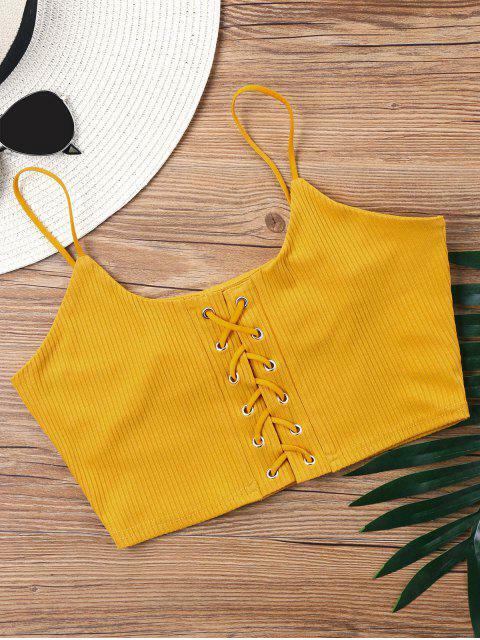 [22% OFF] 2019 Knitted Lace Up Crop Tank Top In MUSTARD | ZAFUL ..
Queda muy bien y el color es idéntico al de la foto. La única pega es que se nota un poco el forro que tiene debajo, que llega hasta la mitad del pecho aprox. 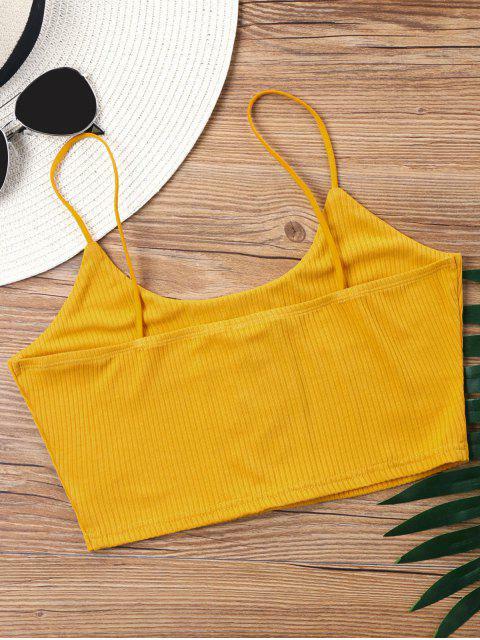 This knit crop top is on the top of our wish lists! Lightweight ribbed knit shapes spaghetti straps and sleeveless bodice, with adorable lace-up detail on the center front. It is perfect for pairing with all your favorite high-waisted bottoms.